COLOR(S): Any shade of brown. Bringing home a new puppy can be an exciting time for its new family, but sometimes if the puppy is not researched properly ahead of time it can end up causing more trouble than pleasure. Researching dog breeds, puppy temperament, and how to properly train a puppy should be done before searching for a new puppy. The following is a guide to selecting, training, and socializing puppies for those who are interested in adopting a new friend or for those who want to learn more about the science behind training and raising this common household pet. Although different breeds of dogs have many common characteristics within their breed, even two puppies of the same breed can have completely different temperaments. Research should still be done on the breed of the future pet to find out amount of exercise it will need, amount of grooming it needs, space requirements of the puppy, how large it will be when full grown, and other common breed characteristics that will help the owner decide if they have the correct household for the puppy. After selecting the proper breed of dog, the future pet owner should meet the puppy to test its temperament to see if it has a fitting personality for the owner. By holding the puppy, playing with the puppy, and watching it interact with other puppies, one can come to a general conclusion if the puppy’s attitude will be appropriate for their household and family. Puppy Personality Test – A test that determines specific personality traits of a puppy, such as dominance level, based on individual responses. Volhard's Puppy Aptitude Test – A useful scored test that can help determine a puppy’s aptitude and personality. 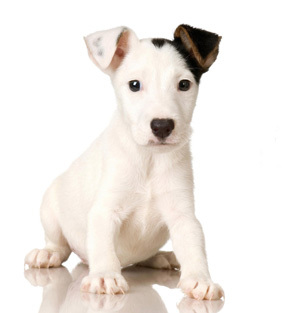 Temperament Testing – Includes a puppy temperament test for puppies under five months old, as well as an adult test for dogs over five months old. Selecting a Puppy – Information on how to select the appropriate puppy for a future owner. After the first two world wars, the U.S. military realized that U.S. dogs were not performing as well as foreign dogs. A program known as the "Bio Sensor" or "Super Dog" program was created. 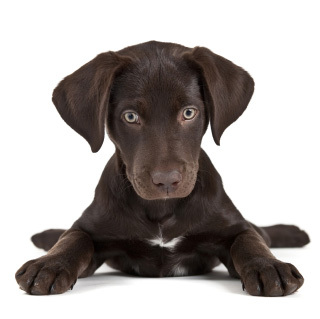 Five exercises were developed that can be practiced with a young puppy: tactical stimulation, which involves rubbing between the toes, head held erect, head pointed down, supine position, in which the puppy lies on its back, and thermal stimulation. The exercises should last between 3-5 seconds each and should only be done once a day. Puppies between the ages of three to sixteen days benefit most from these procedures. These exercises neurologically stimulate the puppy in ways in which it would not be naturally stimulated at this age. This stimulation helps the puppy by jump starting its neurological functions; although if these exercises are practiced too much it can harm the puppy’s neurological system. These exercises have shown to improve physical and mental performance of a puppy as an adult dog. Early Neurological Stimulation – Includes information on how to properly perform the five neurological stimulation exercises with your puppy as well as details about the benefits of the exercises. Sensory, Emotional, and Social Development of the Young Dog – Information on the main phases of neurological and emotional development of a puppy. Bio Sensor Method - A description of the U.S. Military program, as well as pictures of each type of excercise. Creating Super Puppies – Early Neurological Stimulation – A short video about neurological stimulation of puppies with demonstrations. Although a puppy receives all its genetic characteristics from its parents, the way the puppy is raised and trained has a large effect on how it will behave as a full-grown dog. Puppies will remember things they learn from a very young age including fear. It is therefore very important to know how to train a puppy to react to many different situations. It is necessary to use the same commands or signs for the same outcome the owner wishes from the dog. This will ensure that the puppy learns to associate one and only one command with each different act or behavior. It is recommended that a puppy be crate-trained so that it does not perform negative behavior while the owner is not around to correct it. Good behavior should always be reinforced positively, whereas negative behavior should usually be ignored. Researching the breed of the puppy will help the owner understand his or her puppy better which will aid the training process. Genetic Structure of the Purebred Domestic Dog (PDF) – An analysis of the genetic structure of the domestic dog. Also has a different genetic classification of dog breeds, which helps genetic studies of breed differences. Preventing Canine Behavior Problems – Information on the do’s and do-not’s of puppy training to ensure a well-trained adult dog. Science and Dog Training – Four different psychological perspectives, biological, social, behavioral, and cognitive, of dog training. The Domestication of Social Cognition in Dogs(PDF) – An article that details research showing the difference in cognition between wolves and domestic dogs. This shows that domestic dogs were selected to have the cognitive ability to be able to communicate with humans. A puppy should have interaction with a variety of different people and animals from a young age. This will ensure that the puppy will respond well in future social encounters. Socializing a puppy helps properly develop the social and emotional brain functions of the puppy. This socialization process should take place when the puppy is between the ages of seven to twelve weeks old. This is the sensitive period of a puppy’s life and it should be exposed to as many stimuli as possible. Exposing a puppy to these stimuli will make them familiar with the stimuli and help them realize that this is not something they should fear. Why it is Necessary to Socialize and Habituate a Puppy (PDF) – An explanation of the benefits of socializing a puppy. Puppy Development – A breakdown of the different phases of a dog’s life including the socialization period. Socializing Your New Puppy(PDF) – Details on how to socialize your puppy in different situations and how this socialization process should be done correctly. The Importance of Puppy Socialization – An article by the American Kennel Club which explains proper socialization of puppies. Developmental Stages & Socialization – The different stages in a puppy’s life and what the owner shold be doing with the puppy during these stages. Puppies for saleClick here to find a list of local puppies for sale in your area! 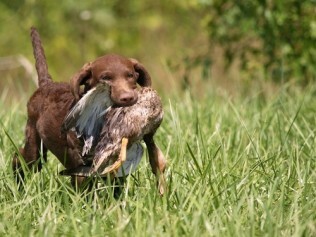 Puppiesndogs.com offers a comprensive directory of breeders and puppy listings. List of Dog BreedsFull list of over 300+ Dog Breeds from A-Z with decription, picture, and info to make your next puppy selection.